Here’s another idea to spiff up your grilled burgers. 1. For mayonnaise, combine wasabi powder in water until dissolved. Mix in with mayonnaise and set aside. 2. For burgers, combine ground meat with all spices, teriyaki sauce and soy sauce. Mix with hands. Form into 4 – 1/2 lb patties. 3. Grill burgers until desired doneness. Grill pineapple and onion slices. 4. 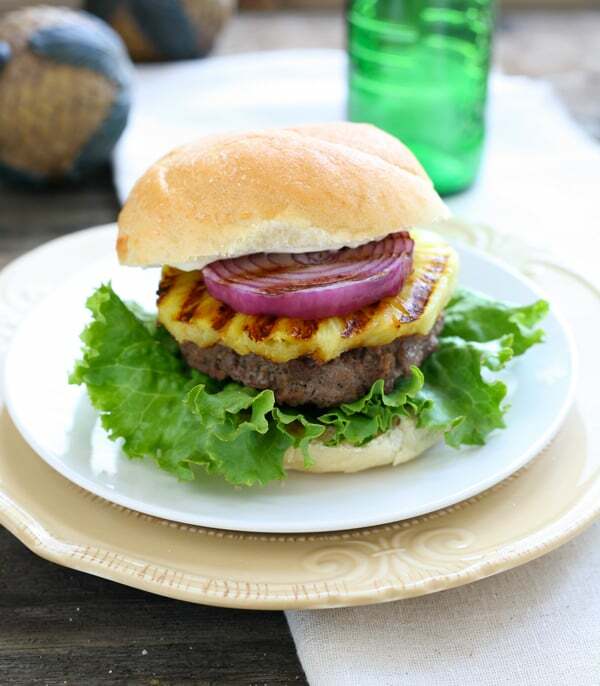 Slather wasabi mayonnaise on buns, top with grilled burger, grilled pineapple, grilled onion and fresh lettuce. Enjoy! Nice burgers, Becca! You’ve made me very hungry this morning!